It’s just over the middle of the year (can you believe it?!) and things are starting to get pretty hectic for everyone, including ourselves. With uni going back for semester two, interstate fashion events taking off and spring racing season coming into play, our lives are about to get 10x more crazy. There’s no doubt we are all seeing an increase in commitments and responsibilities, which is why it is so important to manage our stress levels and keep on top of our self-health. In saying this, we suggest taking some time out for yourself like we did to discover the brand new endota spa, just opened in the convenient location of Norwood and at the heart of The Parade. Stepping inside the front room of the new spa, you’re instantly greeted with warm vibes and a welcoming atmosphere, with staff who are helpful, friendly and attentive. The room is clad in a calming turquoise green colour, complementary to endota’s sleek branding and packaging. The endota product range reaches far and wide, stretching from one end of the room to the other and covering every surface of the room. Walls lined with cosmetics and skincare showcase the likes of oils, exfoliants, moisturisers, nail varnishes, lifting masks, serums, lip and cheek tints, and that’s just merely a fraction of the offerings… it is a true beauty paradise. We spent some time at the new endota spa last week, taking in the wafting smells of soothing aromatics and engaging in a relaxing ‘New Age Light Therapy’ treatment. We dedicated a singular, full day to ourselves, taking a break from photoshoots, events, meetings and so much more by curating a gym > spa > lunch > home type situation. After a morning spent working out at the gym, the spa treatment was to be the ultimate way to follow a highly active session of high intensity interval training. The Light Therapy treatment was unlike anything we’ve had before, using the latest technology to ‘deliver collagen stimulating, anti-ageing results’, as per endota’s website. 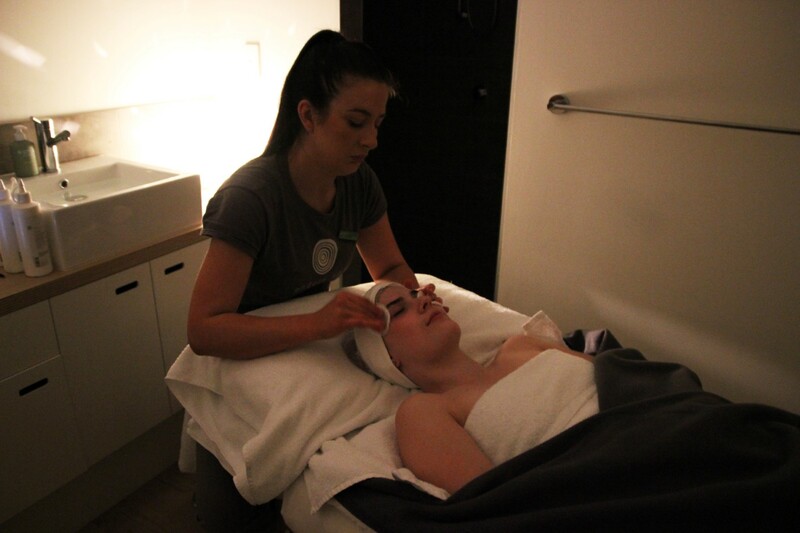 Essentially, the treatment is carried out as a facial, using advanced LED technology lightfusion™ which stimulates cell regeneration by boosting collagen and elastin production. Sounds fancy, hey? The overall experience had us in total unwind mode. endota Sspa Norwood is undoubtedly luxe, encompassing six treatment rooms, one double treatment room for couples, two relaxation lounges and an aesthetic retail space. Now that we know The Parade offers a day spa retreat and beauty haven, we might find ourselves spending a little more time down that side of town! endota spa Norwood is located at 185 The Parade. To make a booking or find out more, follow the link here.